For as long as I can remember, I've been celebrating Canada Day with my BFF by joining her family to watch the city's parade in the park. 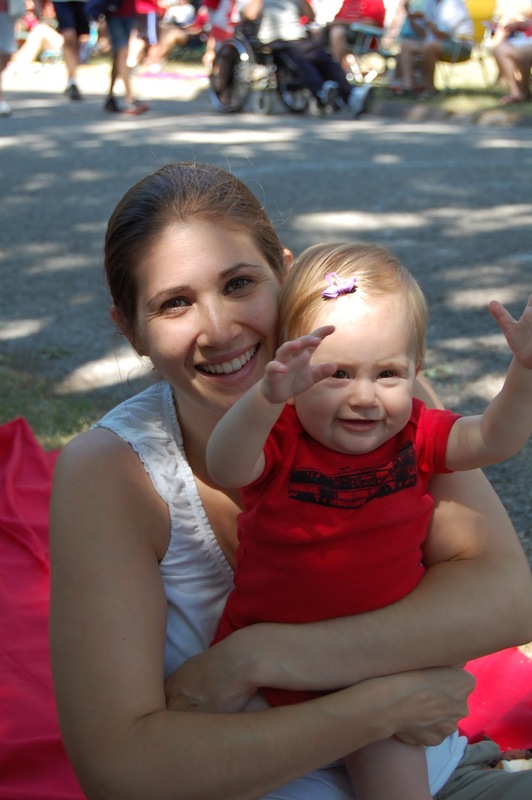 We show up bright and early every year to reserve our spots and to eat the delicious food before the huge crowds form - pierogies, spring rolls, souvlaki - there are booths set up with foods from around the world and it's always so delicious. I look forward to it every year and hope to continue the tradition forever! 2011 - eight months pregnant with Little m! 2014 - spot the tiny baby head! My babe took a huge tumble off of the monkey bars this spring and broke two bones in her forearm. It was awful to watch, as I was only a few steps away, but was busy with baby sis and couldn't act fast enough to catch her. 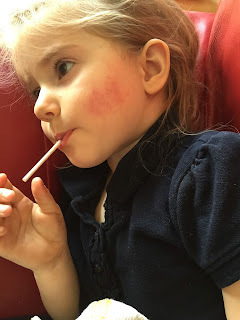 I went back and forth debating on whether or not to take Little m to a doctor to get checked out because visually her hand looked fine and she was acting fairly normal. Sadly the major thing holding me back was the cost to see a doctor ($1200 out of pocket in the end) so I waited till the following morning to see how things were (obviously I would have taken her in, no matter the price, if there was something seriously wrong). By morning Little m was cradling her arm and wouldn't put any pressure on it, so I decided we needed to get it checked out, for peace of mind especially, as the hubs and I were heading out of town on vacation a day later. Well, am I ever glad I got her checked out - two broken bones in the forearm. My baby! First I went to a nearby walk-in clinic but they told me they couldn't do x-rays on someone so young. 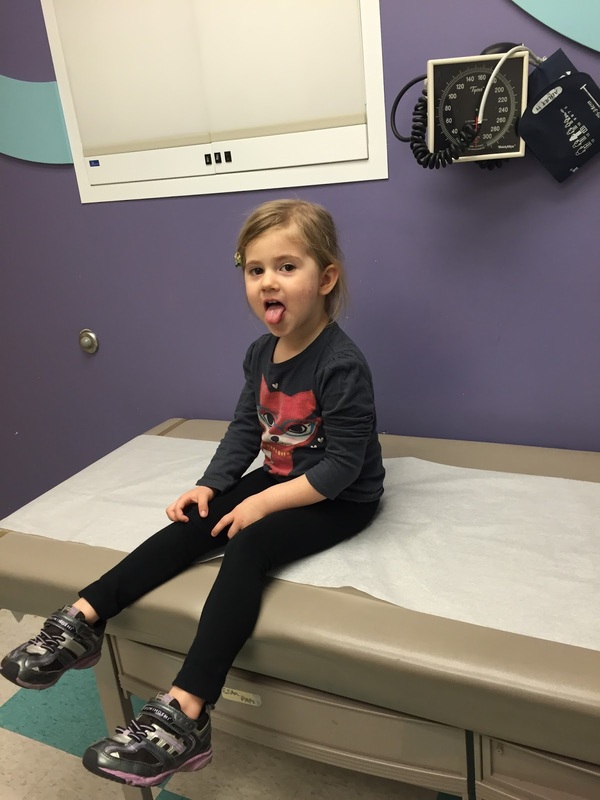 Thankfully the doctor there brought us back right away just to take a look and they thought there was nothing wrong because Little m could move her wrist all around. They almost sent us out the door, but near the end of the exam they got a wince out of her while putting pressure on her arm and suggested we go somewhere more child specific. I was able to make an appointment at Lurie's Convenient Care clinic where they took x-rays and found the two broken bones. The doctors there were super nice and sent Little m home with a splint. I was under the impression that she would wear the splint for about a month and would be good to go, but I received a phone call the next day from the fracture clinic asking me to make a follow up appointment, which was fine except when I told them I would be out of the country and that my parents would be taking Little m in to the appointment they gave me a huge hassle. I had to get a letter notarized stating that my parents could make all hospital related decisions, including the possible need for surgery. WTF? Surgery? What happened to just wearing the splint? Being sassy as ever waiting for the technician to read the x-rays. 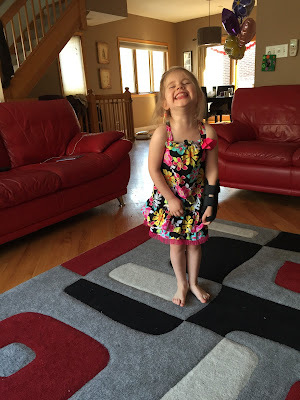 Clearly, the splint did not slow her down in any way! My parents went in to the follow up appointment a week after the injury initially occurred and thankfully I was able to find a decent enough wifi connection in Nicaragua to text my mom throughout the whole thing. The doctors said that a cast would be needed due to Little m's activity level and to be sure that her wrist stayed immobile while the bones healed. 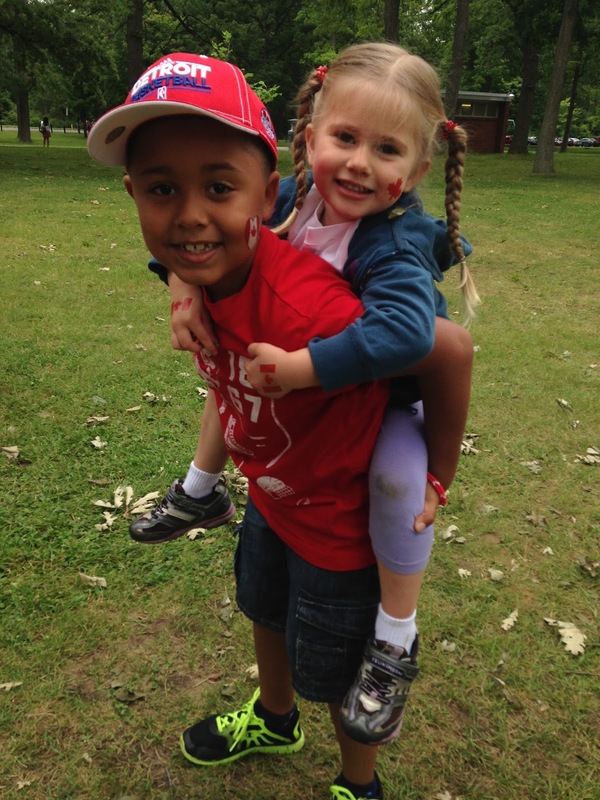 On went the cast, in her chosen color of red. We paid $40 extra for a waterproof cast, which was absolutely worth it! The cast stayed on for three weeks and the absolute worst part about it, other than the broken bones of course, was that it had to be "watered" every day. A bath every day? Ain't nobody got time for that! Actually, the bath I could handle, but the cast was supposed to have an hour of drying time before bedtime, and since my kids go to bed around 6pm, this was really difficult to do! Needless to say, I think everyone was happy when the cast was removed. Last day with the cast - and good thing - it was starting to get grubby! 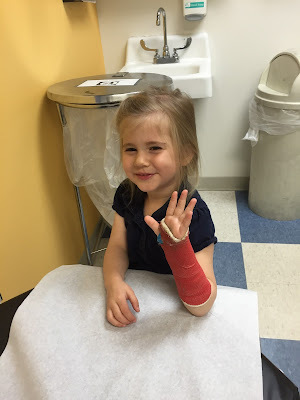 So that's the story of Little m's first broken bones. She was such a good sport about the whole thing and the cast hardly phased her. 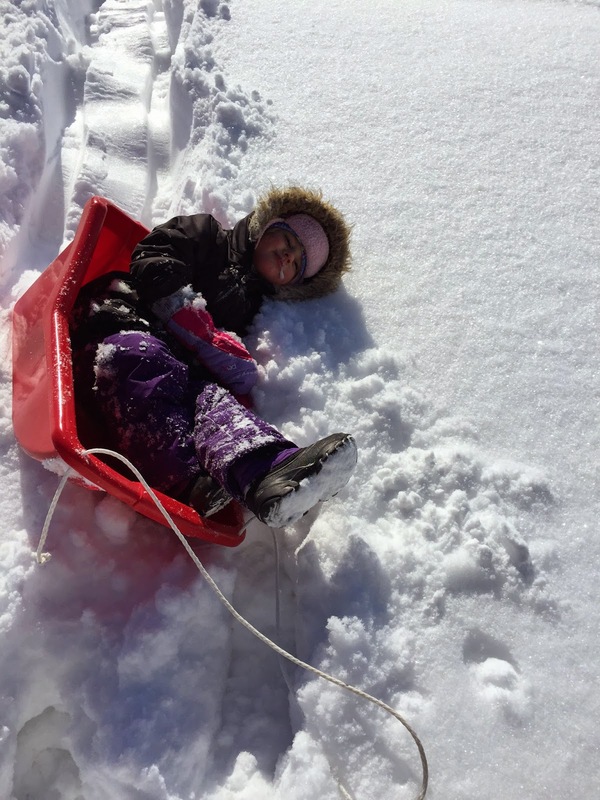 Thankfully the doctors all told me that this would not impact the growth of her bones in the future and I know things could have been a lot worse. The doctor okayed her to go back to being a (more careful) monkey and she was hanging on the playground bars later that day. I hope for her sake she doesn't take after her Grampie and this will be her first and last experience with broken bones! Guys, this might be the best park ever. After visiting Maggie Daley Park for the first time last winter, MY MIND WAS BLOWN. It's seriously amazing. To fully enjoy the park though, take my word for it and follow these two rules: 1) Never, and I repeat never, ever, in a million years go to the park on a weekend after 10am, and 2) Don't even think about coming here with more than one child to watch. You can thank me later. My secret, that I can now share publicly since I no longer live in Chicago (crying face), is that Maggie Daley at 8am or earlier on a Saturday or Sunday is the shiznit. Pay parking starts at 8am (we always park on E Randolph), so if you can make it in earlier you'll score some free parking, plus the park is empty, as you can see from my pictures. To ease the pain of getting up early, make a stop before or after at Do-Rite for equally mind blowing donuts and some Dark Matter coffee. Oh hello, drab wintry Chicago. The slides can be ridiculously fast and I've heard of a few broken leg stories, so be careful, but wow, they're amazing. And big. 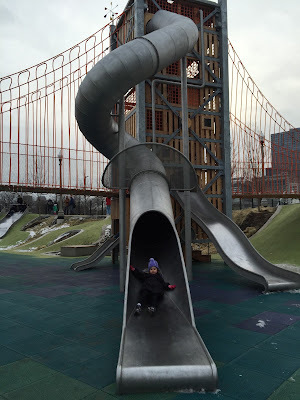 Little m enjoyed the equipment as a brave 3 1/4 year old but I wouldn't recommend the park for anyone much younger. 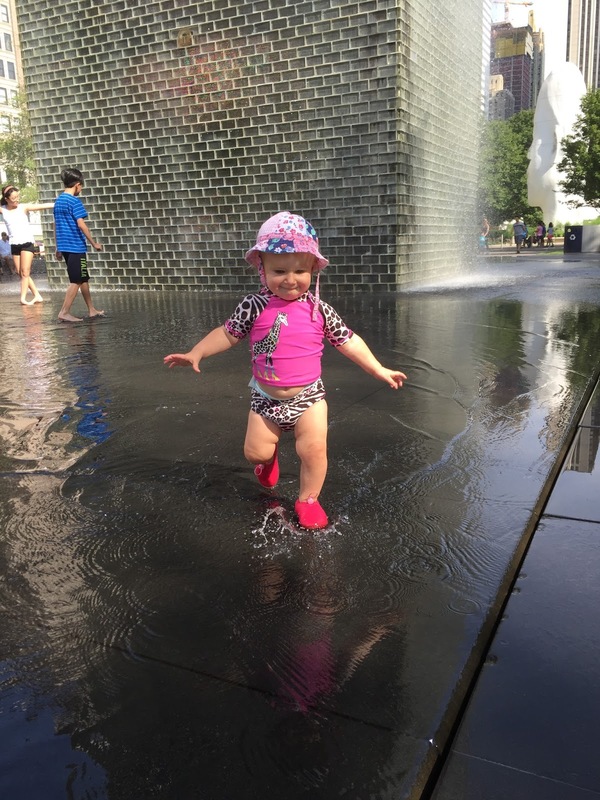 Yes, there are specific areas for the little ones (the splash pad area is pretty darn cute with little statue animals for the youngsters), but I wouldn't make a special trip out unless your child is a bit older. 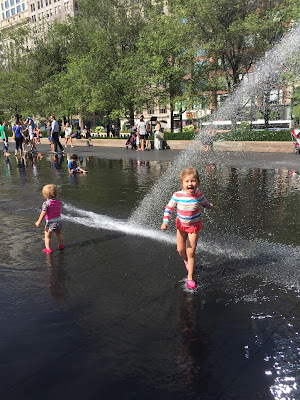 Whether you're visiting Chicago or just playing tourist in your own city, I highly encourage you to spend a morning at the park, followed by a walk over the bridge to Millennium Park to get a picture with the bean, and to top it off, bring a bathing suit for the kids and let them play in the cesspool at the Crown Fountains! 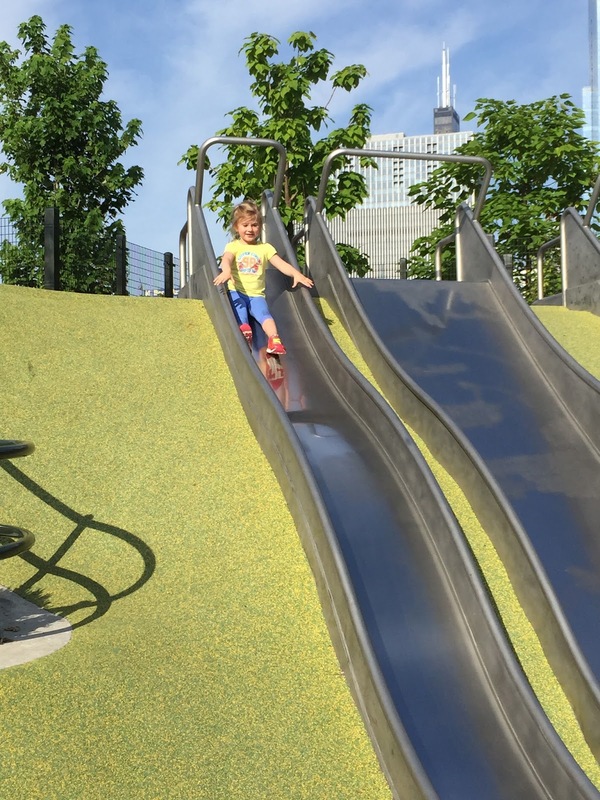 Bravo, Chicago, on creating the most fabulous park I've been to. Your streets may be riddled with pot holes but at least you have beautiful Maggie Daley park. 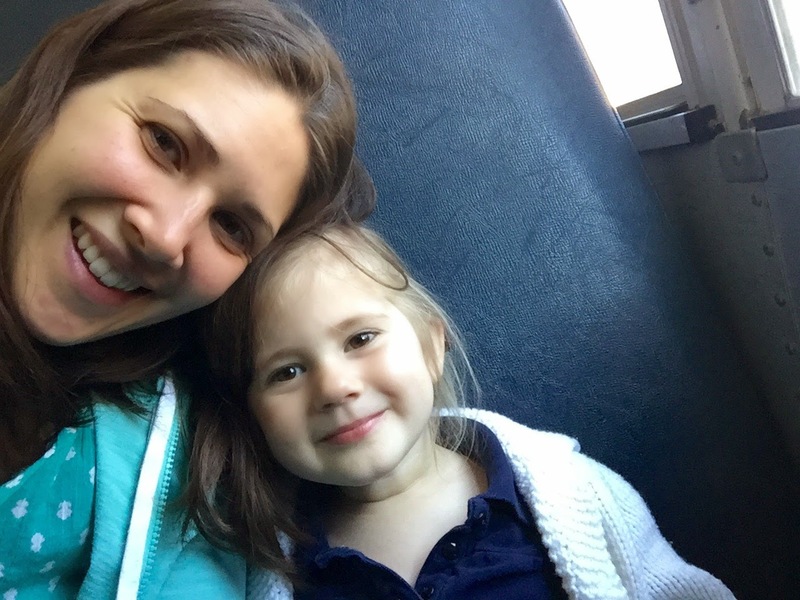 My stay at home mom dreams came true last week when I accompanied Little m on her first ever field trip with her preschool class. Big yellow bus included! 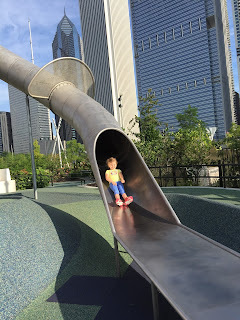 I'm fortunate enough that if I need to be away, M's work schedule is flexible enough that he can stay home with the baby and work while she naps, which was the plan for Friday's field trip... until he was scheduled for an out of town client meeting. Until now we have only really used family or friends to watch the girls, which wasn't possible this time, so may I introduce you to the next best option, UrbanSitter! And now, back to the field trip! 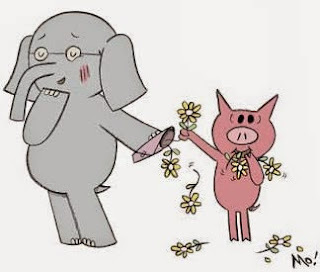 If you have little kids and have never heard of Elephant and Piggie, you are truly missing out. It's an amazingly funny book series by Mo Willems that I love as much, or maybe more, than Little m. Her preschool class has been reading these books all year, so of course they couldn't miss Emerald City Theatre's Elephant and Piggie show. We all boarded the school bus and I had the best time watching all of the little kids enjoying their first ride. One of the best things about being a parent is seeing the joy in the little things. Look at how excited Little m looks! The play itself was really cute, full of singing and dancing. We had to wait a looooong time for it to begin because some classes were running late, which in turn made it hard for the little kids to sit for such a long period of time. Overall, I'd totally recommend the show for kids aged 4+. 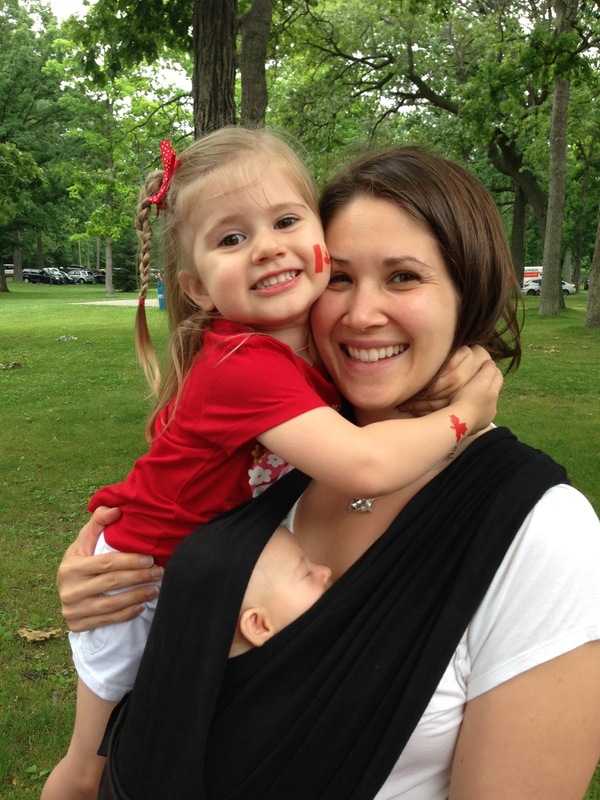 Halfway through, Little m crawled onto my lap, which to me was the icing on the cake. I loved being able to spend some quality time with her, knowing my other baby was being well taken care of as well. After the play, we boarded the bus and it was a happy ride home, me squeezed into a bus seat with two squealing preschoolers who talked nonstop about ice cream! 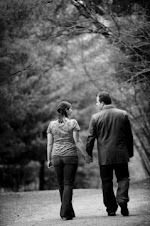 Oh and one last perk about UrbanSitter? I took the option to pay the sitter by credit card so I didn't have to worry about stopping for cash on the way home. So convenient! 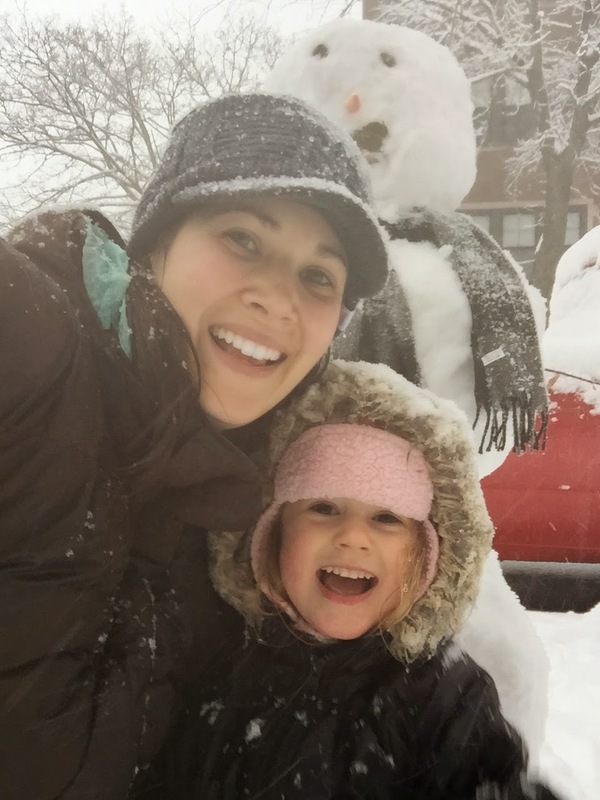 We got a good dumping of snow a couple of weeks ago and I had an absolute blast playing in it with Little m. We headed outside around 7:30am, just the two of us in the whole neighbourhood it seemed, and played in the soft, perfect for building a snowman, snow. It was magical. This is the only reason that snow should exist. M took a picture of us playing from inside the warm house. Almost finished! Just eyes and mouth to be added. 24 hours and 20 inches later. Poor snowman lost his bottom! hill had been totally covered and the snow was too deep! 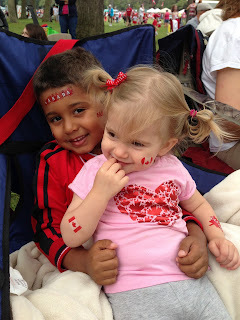 What a great memory with my gal! For a variety of reasons, M and I started eliminating gluten and dairy from our diets. It's not nearly as difficult as one would imagine, although if you have an allergy versus just a preference, that's a different story. Finding meals to prepare was challenging in the beginning but there are so many resources out there, it's easy to find meal ideas and substitutions. I thought I'd share my recent favourites. All of these recipes are on my pinterest board "Recipes I've Made and Loved", but I linked to the original sources for your viewing pleasure. 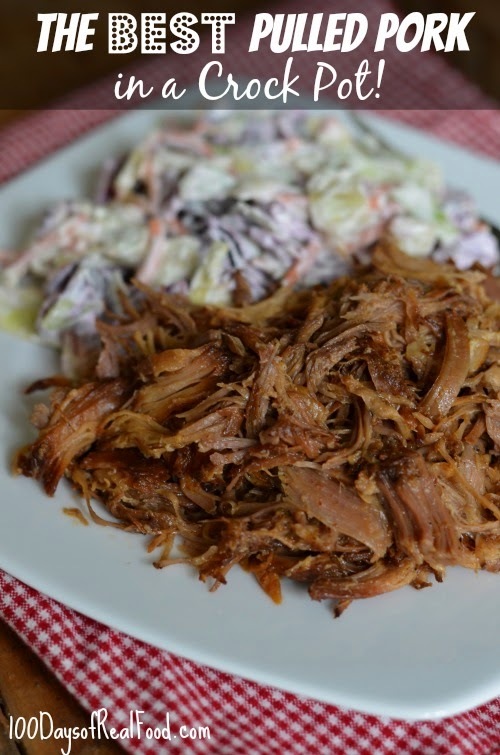 Yes, really, this is the best pulled pork I've ever made! It doesn't use any barbeque sauce, which is nice since that's often filled with high fructose corn syrup. The meat turns out tender and has great flavour. Usually I use a pork tenderloin from Costco because I have it on hand the most. If you have a kitchen aid mixer, remember that you can shred any type of meat in it in a matter of 30 seconds. So easy! And if you like pickles, these easy fridge dills are incredible paired with the pulled pork. Pizza Spaghetti Pie. Me likee. So simple, so tasty. It uses a spaghetti squash as it's base, which I love, because the more veggies, the better. This is an easy dinner to prepare early in the day and then pop it in the oven an hour before you want to eat. I find it's even better if you add your favourite pizza toppings - mushrooms, peppers, etc. What is it about avocado that makes the world a better place? This is such a delicious lunch choice or side dish. 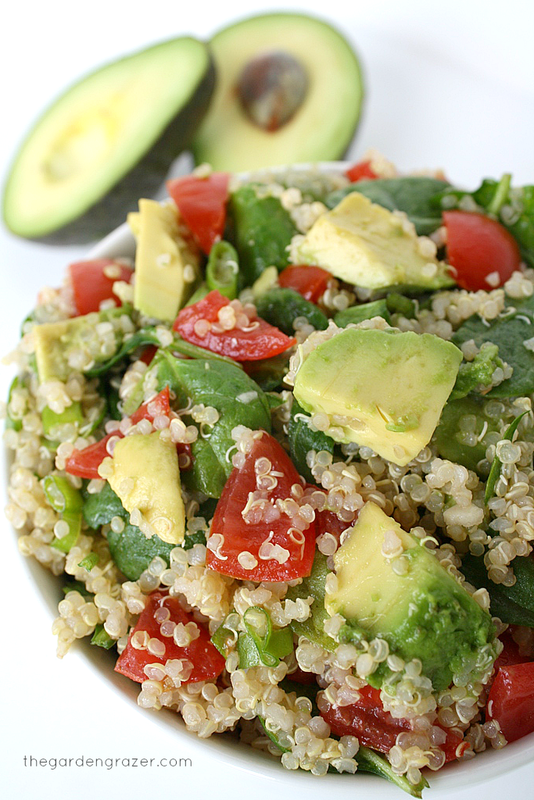 I was gifted some flavoured olive oils and balsamic vinegars for Christmas, so I use those as the dressing over quinoa, spinach, avocado and tomato - and it's amazing, every single time. 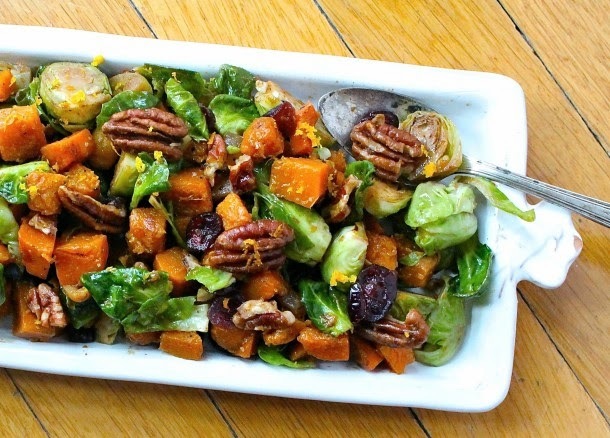 Pair this orange glazed brussels sprouts and butternut squash dish with a protein and it makes a perfect dinner. I can't wait to make this again. Make extras because you won't want to share. 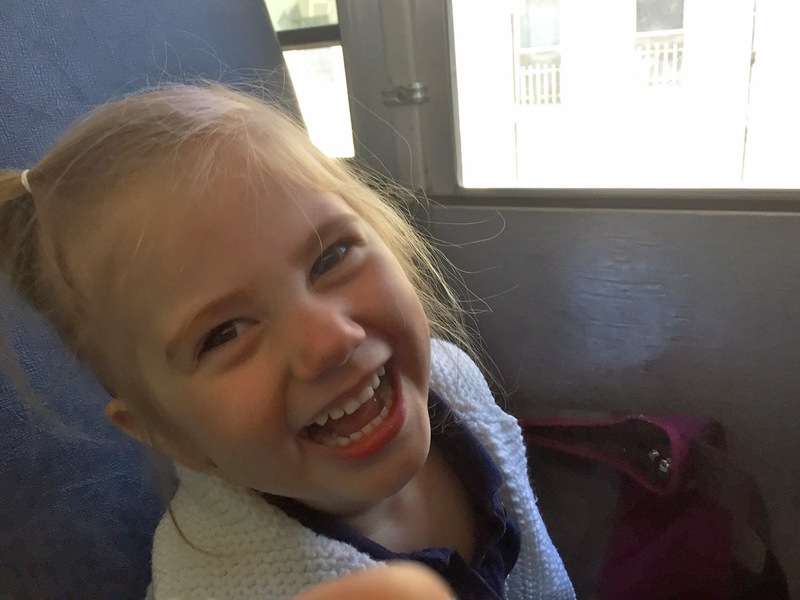 Little m started preschool last fall. Half days every day. I have to admit I was very nervous for her leading up to this time because she had been at home with me since birth and was going to be the youngest in her class. Really, I should have known better. She is thriving at school and learning so many new things. She is absolutely benefiting from a more stimulating environment. Being a former teacher myself, I knew I could give her proper instruction but oh hell no, that child doesn't listen to me, and with a new baby in tow, it was impossible to even think about schooling at home. Her class seems like a nice group of children and she's in love with her teachers. She comes home with cute songs and stories and who knows what else because every day when I ask her what she did at school she tells me, "It's a long story mama." When I ask her what her favourite part of the day is she tells me, "Jumping." Every day it's the same, so apparently they do lots of physical activity in her classroom. Oh and did I mention that she's learning Mandarin? Ha, I have yet to hear Mandarin sounding words come out of her mouth but she often makes up her own languages, so well, there's that. And whoever invented the school uniform is genius. Not having to fight about clothing in the morning is the best. 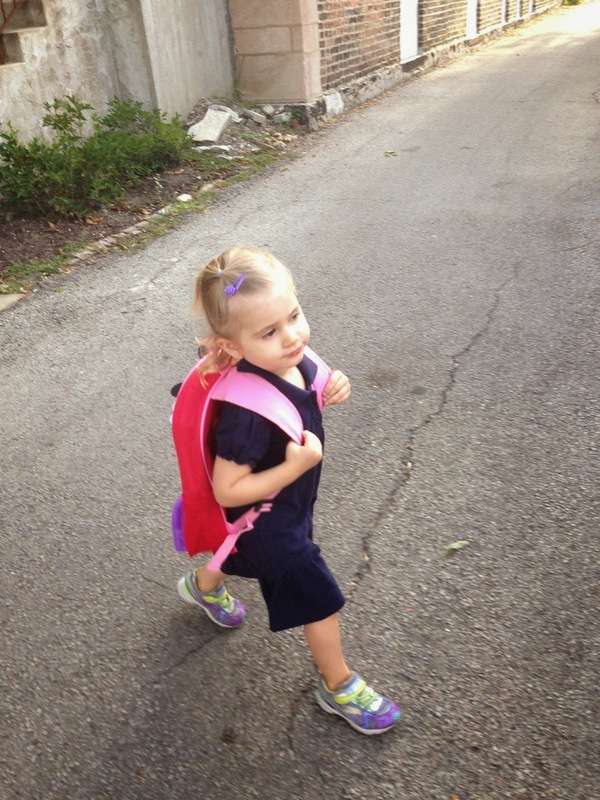 How cute is she on her first day of preschool? Not a single tear has been shed over school and never once have I heard a complaint about going. I am happy she's happy. Plus, they feed her breakfast every morning which is a win in my books. Oh my heart, she is so dear. She loves carrying her backpack like a big girl and looks forward to the nicer weather when daddy can start walking her to school again.. or wait, is that me? Her school is in the direction of M's work, so they walk together a few times a week when it's warm enough, which gives me an extra 45 minutes of peace. These are the ramblings of a thirty-three year old wanderlust. 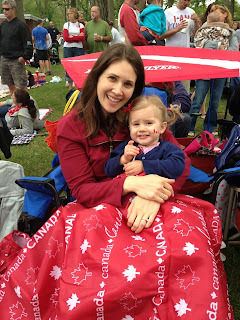 A Canadian through and through, implanted in Chicago for the time being.